nasne has recently gotten itself an upgrade. 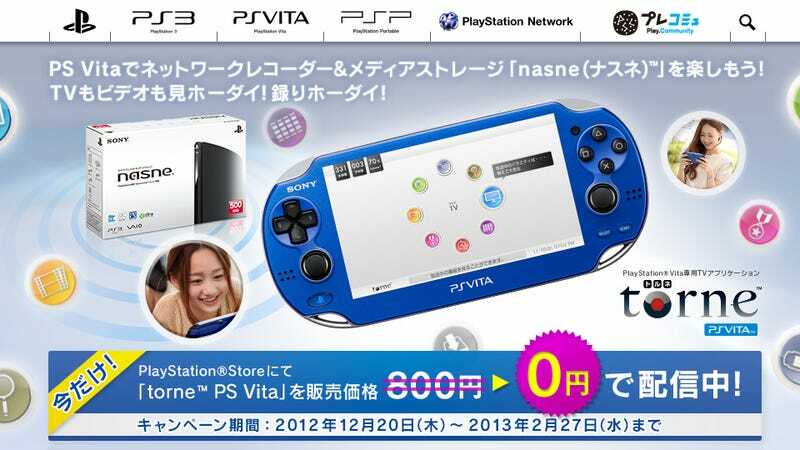 Newly released on Sony's PlayStation Network Store, torne PlayStation Vita allows users to utilize their PS Vitas as remote interfaces with their nasne system. You can wirelessly stream and watch TV via your wireless home network, as well as program, record and play back TV programs. You can also copy recorded programs to your Vita to take with you to watch on the go.